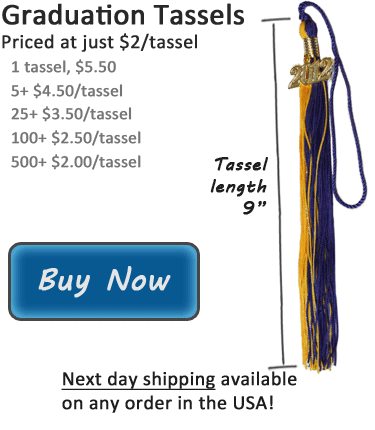 Honors Graduation offers a wide variety of tassel colors so you can find one that matches your school, club, or society colors. Each tassel comes with a drop charm displaying the year of graduation, but you can customize your tassel to show a previous year, or no year at all. Check out the available colors, below, or jump to individual color/meaning listings. The above guide includes many of our available graduation tassel colors. Actual colors may vary slightly from how the cords appear in the above picture, as colors vary with different monitors, systems, and settings.